Ever since the Mutual Fund Sahi Hai campaign, there has been an increased awareness about investing in mutual funds and assets managed by the mutual fund industry have grown from Rs. 23.17 trillion in February 2018 to Rs. 24.25 trillion in February 2019. This represents a 4.66% growth in assets over a year. But initially, mutual fund houses would pay generous and upfront commissions to the distributors to promote their funds, especially NFOs. Mutual fund distributors would earn upfront commissions that varied from scheme to scheme. A few distributors, to earn hefty commissions mis-sold funds, irrespective of the performance of a fund. To pay higher commissions to distributors, mutual fund houses would pay out from the investor returns by levying a higher expense ratio. Seeing this discrepancy, the capital market regulator decided to act on it- in the interest of investors and the mutual fund industry at large. It issued various circulars directing mutual fund houses to make investing in mutual funds less expensive for retail investors. Following which some mutual fund schemes slashed their TERs charged under direct plans drastically. But surprisingly, some of them went on to increase the expense ratio. Hence to bring in more transparency in terms of expenses, reduce portfolio churning and mis-selling of mutual fund (MF) scheme. The capital market regulator issued a circular on October 22, 2018, imposing a ban on upfront commission or upfronting of any trail commission directly or indirectly, in cash or kind, through sponsorships, or any other route. 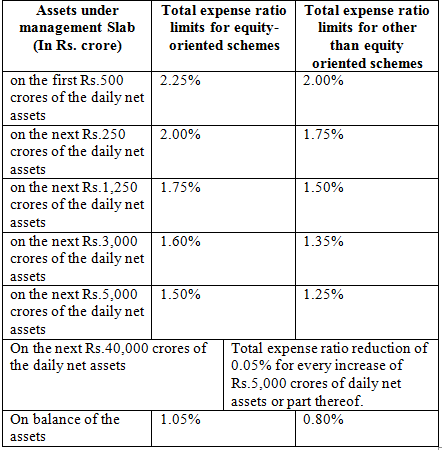 And that MFs/ AMCs shall adopt a full trail model of commission in all schemes but with exceptions on SIP investments. Upfronting of trail commission will be allowed only in case of inflows through Systematic Investment Plans (SIPs). Thereafter the new TER slabs were vide a fourth ammendment to the Securities and Exchange Board of India (Mutual Funds) Regulations, 2018 in Dec 2018, which came into effect from April 1, 2019. The revised circular states that, 'The upfronting of trail commission shall be up to 1% payable yearly in advance, for a maximum period of three years and will be for SIP of up to Rs. 3,000 months, per scheme, for an investor who is investing for the first time in Mutual Fund schemes. Only the first SIP(s) purchased by the investor shall be eligible for upfronting. The circular also states,' if the SIP is not continued for the period for which the commission is paid, then then commission paid shall be recovered on pro-rata basis from the distributors. The said commission shall be amortized on daily basis to the scheme over the period for which the payment has been made. A complete audit trail of upfronting of trail commissions from the AMC's books and amortization of the same to scheme(s) thereafter shall be made available for inspection. Further, the capital market regulator has guided mutual fund houses to charge additional TER based on inflows from 'retail investors' from beyond top-30 cities (known as B-30 cities). The term 'retail investor' has been defined as inflows of amount up to Rs 2,00,000/- per transaction, by an individual investor. In October 2018, the Economic Times had reported, the concern of the distributor community, "lower commissions coupled with a slowdown in the mutual fund inflows are going to hit them hard in the coming days. Many mutual fund advisers claim they have been getting queries from anxious investors trying to stop their investments on the back of current market volatility." 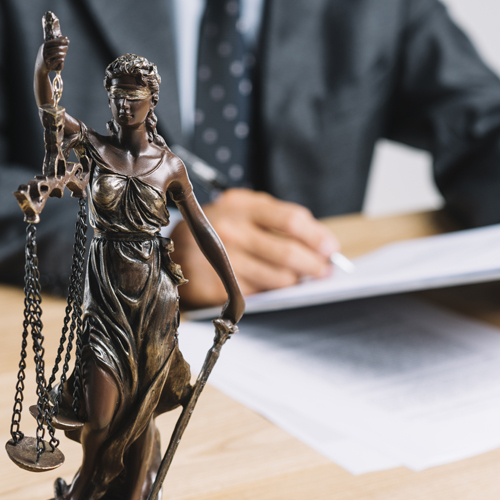 The SEBI circular on distributor due diligence and the proposed regulations on investment advisers would have serious consequences for the IFA community, as stated by IFA website. Nevertheless, the steps are taken to protect the interest of mutual fund investors at large. Since the entry load ban from April 1, 2009 there has been a far-reaching impact on the business of the IFA community. A number of regulatory changes also changed the way IFAs conducted their business for good. And the growth of the Indian Mutual Fund industry in terms of AUM and folios is encouraging, supported by the IFA community and the rising awareness about mutual funds as an investment avenue to park money in the endeavour to build wealth. Hence the Chairman of FIFA, stated that: "We therefore trust that there would be no reduction in the distributor's commission arising from the implementation of the revised TER. Any intended cut in the distributor commissions would be counter-productive, against the objective of promoting the growth of mutual fund industry and not in consonance with the rationalisation behind the reduction in TER." He signed off by saying, "The distribution community looks forward to working closely with all stakeholders to achieve the goals of financial inclusion and financial independence of the citizens of our country." The FIFA is waiting for a further response to its letter of plea and bearing the cut because most of the AMCs have intimated them of the trailing commissions as per the revised TER. Until more developments, are reported, IFAs will need to follow the diktat of the capital market regulator. To grow your mutual fund distribution business, following high fiduciary standards and ethics will be the key in a fiercely regulated environment.